If you clicked on this page, I'm assuming it's because you love the blog (and/or my Twitter account connected to it). If so, thank you! I'm glad that you find the blog useful and entertaining! Since I've had a few ask about ways they can support the blog, I decided to put it all in one spot for easy reference. This one is pretty simple and many of you already do so -- thank you! If you see an Amazon link on the blog, or on my Twitter/other social media posts, it's an affiliate link. That means that if you click that link and then buy something from Amazon, I get a small percentage back. For ebooks, that's 4% back. For *most* other Amazon things that are included in the program, that's 6% back. I cannot say thank you enough in regards to using my Amazon links. In the last year, I've actually made a little bit of money from it, which goes a long ways towards helping to keep the site up and running. And, to be frank, it helps me, personally. I love doing the blog work, but it's dozens of hours of work a week . . .without pay. Getting this little bit of cash from Amazon helps some, though if I were to figure it out per-hour, I'd basically be working on the blog stuff for mere pennies an hour. So if you're already thinking about buying something from Amazon -- a new book, a book deal I share, or something totally random and non-book related -- please consider supporting the blog and using one of my links to order it. You can either use a direct link for a specific book, like you'll find in any post, or you can use this generic link that will take you to the main page on Amazon. Or even the new Amazon Storefront page I have up, where I'm adding things I recommend -- from romance novels to skin care. Happy shopping, and thank you! But I'm realizing that I need to get over that problem and proudly say, "Hey, if you love the blog and want to continue to see it running and giving you the content you enjoy, please considering sending a donation in." There's no minimum on the donation. Even $1 helps. There's no requirement that you do it more than once -- or that you do it at all, of course. If you click on it -- the sidebar one, that is! -- it will also take you to the blog's PayPal. This is also similar to the donate button above, and Ko-Fi is run through PayPal as well. It's just another way to send in money; Ko-Fi works on $3 donations ("buying the creator a coffee"). You can find my Ko-Fi profile HERE. 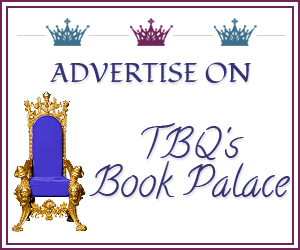 If you are an author or publisher and you wish to buy ad space on the blog OR a sponsor in the blog's podcast, that is also a great way to help the blog out AND help you to reach more readers. You can find out all about ads HERE. "But hold on, what if I can't afford to buy anything or donate?" I hear you! Trust me -- I understand EXACTLY what you mean. Luckily, you can also help support the blog in so many other ways that do NOT require you to spend any money! The best way to support the blog is to share it with others. Whether that's telling a friend about the site, tweeting/RTing a blog post link (or sharing it on any other social media), or just talking about the blog to others -- this simple thing can really help! It means that new readers may find the site, which is fantastic all by itself, full stop! 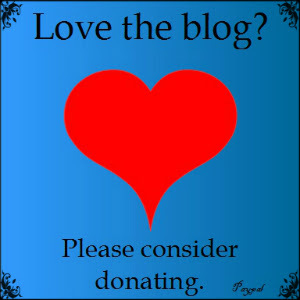 But it also means that even if you cannot donate to the blog, perhaps your tweet about the blog might reach someone who CAN donate, and wants to. Again, it may seem like a simple thing, but it can help. More visitors to the site (consistently) means a bigger audience, which can mean reaching others who can donate, or new authors who want to place ads, etc. And of course interacting on the blog -- comments -- also helps because it shows that the site isn't just sitting un-viewed/used. Same with my social media. Following, interacting, sharing -- especially on Twitter, which is where I am by far the most active -- helps to put me in front of new readers/authors/etc. And it adds to the fun, which is why I do all of this in the first place: to talk to other readers, to find new books and authors, and to just have a good time with people who get me. That'll never change, money or not, site growth or not. Again, you are under no obligation to use the blog's Amazon links, or donate to the blog, or do anything else, for that matter. But if you want to, if you are able to, and if you wish to continue to see the blog running like usual, please think about doing so. Or if nothing else, help to spread the word to others. No matter what you do, all I can say is a giant "Thank you! ", and I hope you continue to enjoy the blog!